Soon, you'll be seeing sponsored ads between pictures of your ex-girlfriend's cat and posts about how awful that one waiter was at dinner. 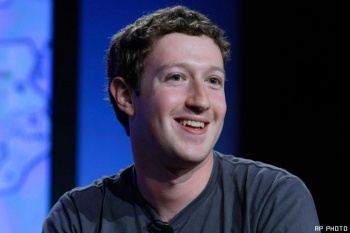 Beginning in January of 2012, Facebook is expanding the real estate for sponsored advertiser space. While once relegated to the right-hand column of the main page, ads will now appear within your primary news feed as well, emerging sporadically between other, more legitimate posts from your friends. This isn't the first time good ol' Zuckerberg tried the tactic; back in late 2006 Facebook pulled a similar stunt in which standard "sponsor messages" began appearing in nearly the same fashion. This practice lasted all the way into 2008 when the site deemed the system too "disruptive" to the social media experience of its users. Now, four years later, the company has decided to give it another go, but this time with a shiny new twist. These new advertisements will be something called "Sponsored Stories," which will be generated by the actions of others on your friends list. Here's a quick example as to how this is going to work: Let's say Todd, some bozo you took geometry with but were always too lazy to delete, decides to "like" Coca-Cola on Facebook (he somehow felt the world would be a better place once publicly declaring the allegiance). As soon as Todd presses that little thumbs-up, Coca-Cola auto generates an advertisement Story on your news feed about that caramel-colored caffeinated beverage he seems to be so keen on. Facebook doesn't want you to worry though, "hoping" they'll only need to hit you with these things about once a day. "Our goal is to do this thoughtfully and slowly," the site has written about the change. "We hope to show people no more than one Sponsored Story in their news feeds per day and the story will be clearly labeled as sponsored." Advertisements are extremely important for free websites, but as the most profitable site in the history of the internet, I wonder if Facebook's decision to invade its own core function with obtrusive sponsor messages is truly necessary to keep the lights on at Mark Zuckerberg's house. Perhaps the more relevant and disturbing question is that even if these "Stories" somehow manage subtlety, are we really okay with our activities and predilections being used as content drivers for our friends? It's odd enough that every time I look at a silly pair of pants online they suddenly appear as banner ads on every other website I visit, but am I really ready to have things like photosynthepants appear in my friends' internet travels, too?